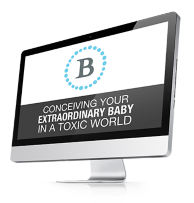 BABY IN A TOXIC WORLD"
HOW DO YOU CONCEIVE AN EXTRAORDINARY CHILD IN A TOXIC WORLD? Are you and your partner planning a family? 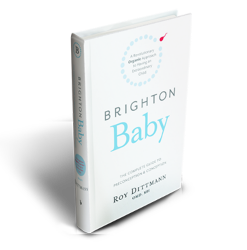 If you are like so many prospective parents who are terrified by the skyrocketing incidence of birth defects (including autism and ADD); if you are struggling with infertility; or if you simply know that you want to have an extraordinary child, then Brighton Baby is for you. The Brighton Method is the perinatal protocol resulting from the distinctions made in Brighton Baby. It provides you and your partner with an integral roadmap to take charge of your reproductive health. There are many advanced methods and clinical procedures that are appropriately not included here, but that are included in The Brighton Method Certification Program for health professionals. Roy Dittmann, OMD, MH has dedicated his professional life to evolving an integral, organic approach to prevent birth defects and optimize fetal brain development during the perinatal period - the most powerful time to impact human development.